Can Hamsters Eat Lettuce – Should You Let Your Hamster Dine On Leafy Greens? The short and simple answer is yes. So if your hamster has just eaten some lettuce and you’re worried that you’ve maybe just poisoned him, you can relax. However, while hamsters can eat lettuce, you should still introduce it into his diet moderately. We don’t blame you for asking the question “Can hamsters eat lettuce?” While it may seem like a no-brainer to some, to others it is a very controversial topic. A common misconception is that lettuce is toxic to hamsters. While this is simply not true, too much lettuce can cause some health issues that you should be aware of. So, let’s find out right now about the details of lettuce consumption and hamsters. As we’ve briefly covered, the short answer to this pressing question is yes, hamsters can eat lettuce. In fact, lettuce can offer your hamster many health benefits when incorporated into his diet correctly. Still, there are many myths and misconceptions as to whether or not hamsters can and should eat lettuce. While some consider lettuce to be toxic to hamsters, the truth is that lettuce, when given in the proper amount, can be an essential part of a healthy and well-balanced hamster diet. However, not all lettuce is created equal. There are some types of lettuce that you would not want to incorporate into your hamster’s diet as it can cause certain health problems like digestive issues and diarrhea. Other types of lettuce are simply not nutritionally beneficial, so there is really no point in adding it into your hamsters’ diet. Let’s read on to learn more about the types of lettuce we should and should not offer our hamsters and why. Lettuce is a leafy green that grows in soil. Originally, lettuce was produced in Egypt and cultivated not only for its edible leaves but also for the oil from its seeds. In the US today, lettuce is grown primarily in Arizona and California, and is a $300 million-dollar industry! According to the Guidelines for Head Lettuce Production in Arizona (ACIS), there are nearly 75,000 acres of lettuce being grown in the southwestern United States alone. Clearly, we love lettuce, and we love feeding it to our pets. The most common conception is that lettuce, being a vegetable, is healthy for everyone. And yet, there can be some lettuces that are harmful to hamsters. What Lettuce is Bad For My Hamster? So, can hamsters eat lettuce? Yes. Can hamsters eat all types of lettuce? Probably not a good idea. Can hamsters eat iceberg lettuce, for instance? They can, but they shouldn’t. All unwashed lettuce could be harmful to your hamster, so be sure that before you offer your hamster a leafy treat, you have washed it thoroughly. Pesticides and other chemicals on the lettuce can cause serious health issues to your hamster. Remember, he is very tiny, and his system is much more fragile than your own. Even a small amount of toxic chemicals could harm him. When it comes to a type of lettuce you’ll want to avoid, we recommend staying away from iceberg lettuce. Perhaps the biggest reason iceberg lettuce should be left out of your hamster’s diet is that it is primarily made of water and offers no real nutritional value. Since iceberg lettuce contains the most water and the least amount of nutrients and vitamins, it is the least beneficial to your hamster and the most likely to cause him issues. Iceberg lettuce can also cause liver problems for your hamster. So if you really want to give him some iceberg lettuce, only let him consume a very small amount every three days. Can Lettuce Harm My Hamster? 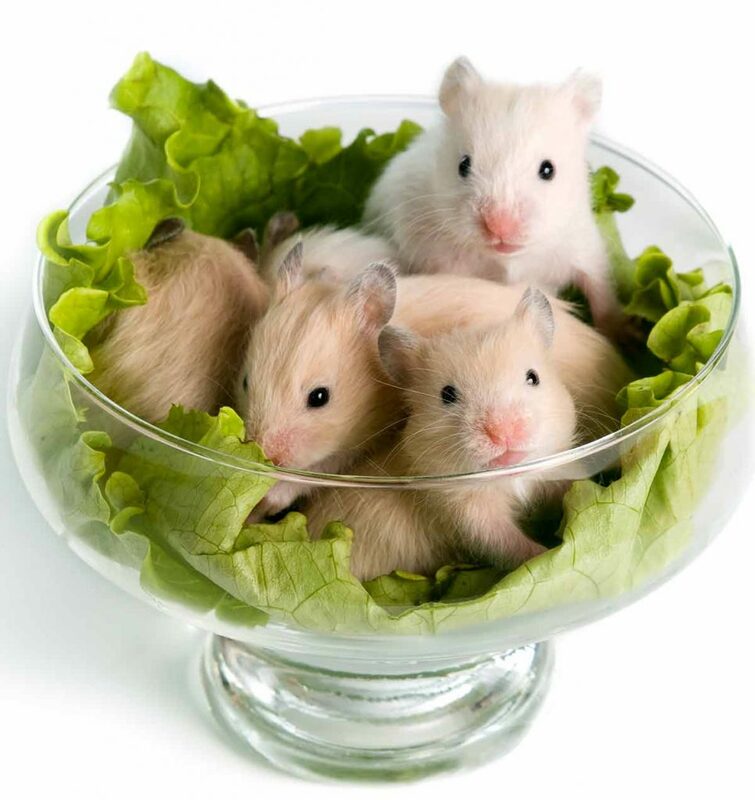 Just as there are different types of lettuce, there are different types of hamsters. Can dwarf hamsters eat lettuce? Can Syrian hamsters eat lettuce? 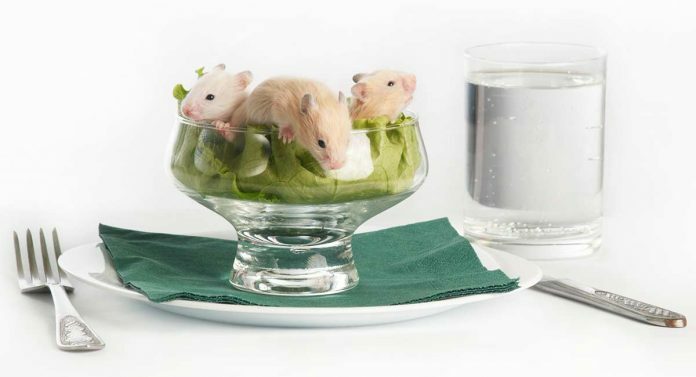 From the smallest hamster to the largest hamster, all hamsters can eat lettuce in controlled amounts. Keep in mind that all lettuce is water-based, and for that reason, you should provide lettuce to your hamster in small doses. An excess of any lettuce, even the most nutritional variety, can cause your hamster to have loose stool. What are Some Types of Lettuce That Are Good for My Hamster? Can hamsters eat romaine lettuce? What about red leaf or curly leaf lettuce? All types of the above lettuce are fine to feed your hamster, as they are filled with nutrients and vitamins that can have several health benefits. However, remember to feed your hamster any lettuce in moderation, as too much lettuce can result in diarrhea. Some other leafy greens that are safe in moderation for your hamster are dandelion greens, carrot tops, broccoli spears, artichokes, and spinach. Why Might We Want to Feed Our Hamsters Lettuce? When asking “Can hamsters eat lettuce?” you might also ask why you might want to feed your hamster lettuce in the first place. Are you worried he is missing something in his diet, or does lettuce just seem like a natural treat you hamster would love? We love our pets and want them to know it. One of the easiest ways we can show our love to our pets is by offering them treats we know they’ll be head over heels for. 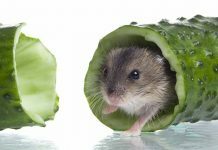 It seems natural that small rodents such as hamsters would love munching on lettuce, and while we are not wrong in our assumption, it is still important to make sure we are implementing it into their diet correctly. 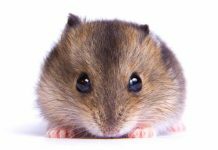 Are There Benefits to Feeding Small Amounts of Lettuce to My Hamster? Lettuce is a vegetable, and like most vegetables, certain lettuce varieties contain a high number of vitamins and minerals your hamster needs to help him flourish. How Much Lettuce is Too Much Lettuce for a Hamster? You should measure the amount of lettuce by the size of your hamster. A large hamster like a Syrian hamster, for example, could eat about a third of a leaf of lettuce. A dwarf hamster, on the other hand, should have about a third of a third of a leaf. Never feed your hamster a whole leaf of lettuce, no matter how big he is. An entire leaf of lettuce is filled with too much water and your tiny hamster’s digestive system will not be able to tolerate it. What Symptoms Tell Me My Hamster Has Eaten Too Much Lettuce? As previously mentioned, the most common symptom of too much lettuce consumption in your hamster is going to be loose stool. Because all lettuce is water-based, if given in large quantities, lettuce will basically flush your hamster’s system and cause him to have diarrhea. Since you already have a water source readily available for your hamster in his cage, chances are he is drinking the appropriate amount of water he needs every day. The excess water introduced to his system through too much lettuce would make him feel not too great, and end up in a big mess for you. 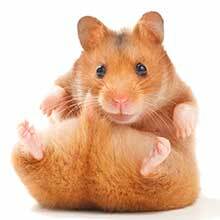 If your hamster is experiencing diarrhea and you think it is caused from an excess of lettuce, you should stop feeding him not only the lettuce but also any other types of veggies and fruits, until he is better. If your hamster is still having loose stool even after 24 hours of being off fruits and veggies, we recommend you take him to a veterinarian. Keep in mind that diarrhea can also be caused by a dirty cage or an intestinal issue, so be sure you know the cause before you try and treat any health issues in your hamster on your own. How Can I Ensure I Am Feeding My Hamster the Healthiest Foods? The best way to ensure you are feeding your hamster a proper and healthy diet is to do plenty of research and refer to a professional. 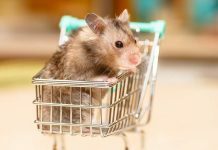 Veterinarians who specialize in small rodents will be able to offer the best dietary advice when it comes to your hamster. Remember, hamsters count on us to keep them happy and healthy, and diet is one of the best ways to ensure they remain in our lives for as long as possible! Do you have a lettuce-eating hamster? Tell us about him in the comments! Previous articleCan Mice Swim Or Do They Prefer To Stay On Dry Land? Next articleCan Mice Climb Trees, Walls Or Even Glass?